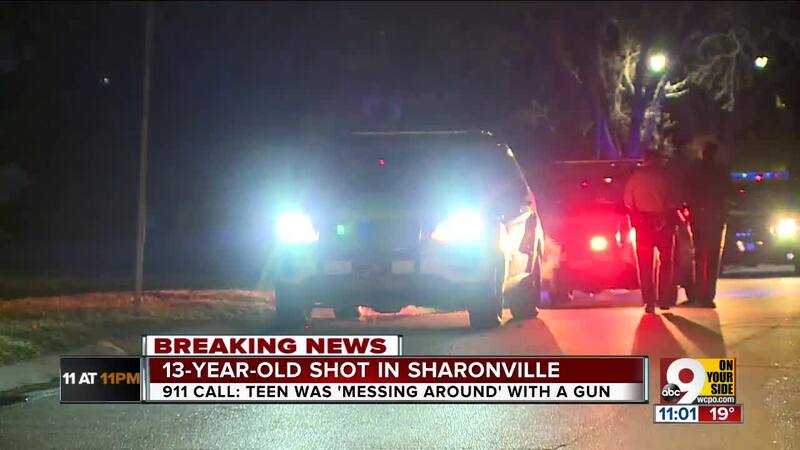 SHARONVILLE, Ohio — A 13-year-old boy was shot late Friday night while he and a friend played with a gun, according to a 911 call made by the other boy. Someone screamed in the background — first with no words, then Oh my god. Officers arrived on the scene around 9 p.m, and an ambulance took the victim to the University of Cincinnati Medical Center. Police said he was in critical but stable condition.